This book was sent to me for free from the author. This book was sent to me directly from the author after she contacted me through Goodreads. Katherine Hayton sent me a copy of this book in exchange for an honest review. Synopsis: Elisabet wakes with amnesia. The care offered to her by a husband she doesn't remember descends within weeks into aggression and violence. Lillian lies hogtied in an underground cell. Forget about escape: unless she can manage the necessities of life she'll be dead within days. Kristen lost her house, her friends and her confidence when her parents separated. Now her injured stepmother has moved back in. Has she lost her memory or lost her mind? Will the secrets hidden in Elisabet's locked memory be enough to set them all free? Review: I would like to thank Katherine Hayton for sending me a copy of this amazing book. I really enjoyed this book and I found that I was hooked after the first chapter. Once I started to read this book I found that I could not put this book down. This book is an excellent thriller and mystery that kept me on edge about what was going to happen next. I would recommend this book to any avid reader who enjoys thriller mysteries as I am certain that they would extremely enjoy this book. 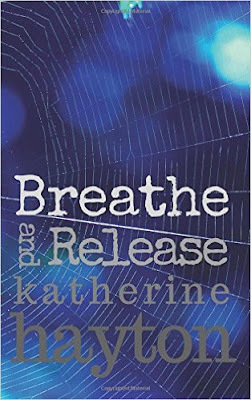 This book will remain on my shelves forever and I will definitely be giving more books by Katherine Hayton a shot.